Here on Corrie Cooks we have reviewed countless pressure cookers. 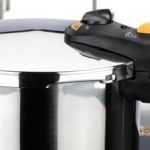 If you are looking for unbiased pressure cooker reviews then you are in the right spot! This page is basically a directory page for all of the pressure cooker reviews I have posted on this site. I don’t believe in forcing products down your throat. I’m not going to just show you two or three pressure cookers I think you should buy. Instead I’m going to show you different types of pressure cookers below with a short description of why you might want or need that style. You can then click through to see all the reviews of pressure cookers that meet that description. You can then compare prices, features, sizes, and all the little details that make all the difference. I know exactly what it’s like to buy products that I have only a little bit of experience in. Most of the time you just need help identifying the kind of product you need and then it becomes easy to decide based on pricing and personal preference. Just have a look at the different categories of reviews I’ve published on this site and click through to see the various products full reviews which fall under that category. Most electric pressure cookers are able to do a lot more than just cook food under pressure. They are able to saute foods, slow cook foods, steam, and in some cases make things liked baked goods or yogurts! There are a few extremely popular electric pressure cookers I have reviewed on this site but there is actually a surprising amount of electric models to choose from aside from the biggest players in this space. My electric pressure cooker reviews do cover all the name brands you would expect like Instant Pot or Power Pressure Cooker but I’ve also got lots of reviews posted for some of the cheapest electric pressure cookers as well as some for the brands you may have not heard of before. Click through to find all if the various electric pressure cooker reviews found on this site or click any of the following links to see reviews for some of the most popular electric models on our site. 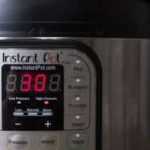 Instant Pot Reviews – Instant Pot pressure cookers are the bestselling electric pressure cookers these days. They are super hot and a must buy for everyone it seems. Although there are plenty of other great electric models from other brands the Instant Pot is priced mid-range and has an enormous fan base. Here are our reviews of the Instant Pot models. 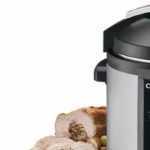 Cuisinart Pressure Cooker Reviews – The Cuisinart brand has long been respected in the kitchen. They make high quality gadgets and tools that are affordable for most families. Along those lines they have also produced a few electric pressure cookers which are very popular. Here are our reviews of the Cuisinart models. 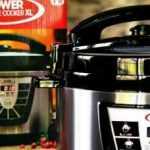 Power Pressure Cooker Reviews – This is the As-Seen-On-TV brand that we all have seen commercials for at least a time or two. The original units were branded the Power Cooker Pro and newer units are branded Power Pressure Cooker XL. Each style comes in a few different sizes too. Click here to see my reviews of these units. 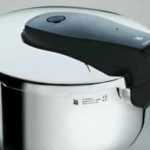 Elite Pressure Cooker Reviews – Elite Platinum pressure cooker have been sold on HSN very successfully. Elite makes a small collection of electric pressure cookers. They tend to cost a little less than most cookers and although they have lots of presets for various types of food the units are not quite as versatile as other multi-cookers. 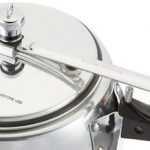 Click here to see our reviews of the Elite model pressure cookers. Breville Pressure Cooker Reviews – If you are in the market for top of the line appliances you can’t go wrong with Breville. Breville has historically made some of the best kitchen gadgets over the years and their electric pressure cookers are just as good. Click here to read my full review of Breville’s models. 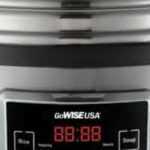 GoWise Pressure Cooker Reviews – GoWise USA has been making electric pressure cookers for a while now. They are currently selling their 4th generation models and they have consistently received excellent reviews from customers while remaining one of the lower priced models. What sets these guys apart is that you can get some pretty big models from them. Click through to see my reviews of the GoWise electric pressure cookers. Your basic stovetop pressure cooker includes all standard stainless steel pressure cookers and aluminum pressure cookers that are designed to sit on top of a burner. These are sometimes referred to as normal pressure cookers or even old fashioned. Even still modern stovetop models are much more advanced than they were decades ago. They come with many modern safety advances and are built to last. Your basic pressure cooker isn’t as fancy as the newer electric models and they can’t do many different styles of cooking but they do have their advantages. They are simpler to use for certain things. They can do double duty as a regular cooking pot or pan. They also tend to reach higher sustained pressure during cooking and can reach full pressure faster than electric models. Not only that but the cold water release is possible with stovetop pressure cookers whereas it is not possible with electric models. I have a lot of posted reviews on this site for stovetop pressure cookers and the review count is growing all the time. Click through to see them. You can also click through the following links to see reviews of popular stovetop models. Fagor Pressure Cooker Reviews – Fagor is one of those few companies that produce both stovetop pressure cookers and electric models. They are mid priced in both sectors and all of their products are quite popular and well reviewed. Click through to see my reviews of the Fagor line of pressure cookers. 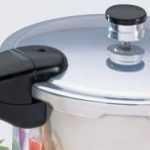 Presto Pressure Cooker Reviews – Presto makes some of the most popular stovetop pressure cookers sold today. They are priced low and affordable but aren’t the cheapest. As far as value for price their pressure cookers are some of the best. They make both stainless steel and aluminum models and sell some budget friendly pressure canner too. Click through r=to read my full review of all the Presto models. 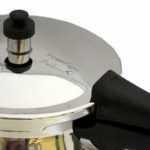 Berghoff Pressure Cooker Reviews – Berghoff is a German brand that makes both stovetop and electric pressure cookers. They are premium products and priced high. As such they don’t sell at the same volume as their competitors. If however you want something made to the highest quality and you have deep pockets any Berghoff model will be a sound investment. Click through to see my reviews for the Berghoff line of pressure cookers. 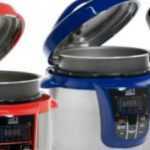 WMF Pressure Cooker Reviews – This company makes some of the best stovetop pressure cookers for sale today. They are a premium brand and priced fairly high but the product you will get is about as good as it gets. Reviews from past customers are extremely high and nobody seems to ever regret buying a WMF pressure cooker. Click through to read my reviews of their models. 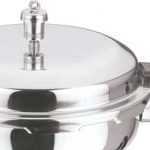 Kuhn Rikon Pressure Cooker Reviews – This is another premium brand from a foreign company. Kuhn Rikon has a line of pressure cookers that rival WMF in every way, they are just as well made and reviewed just as high. The biggest differences really tend to be slight pricing differences and styling. You can see my reviews of all the Kuhn Rikon models right here. 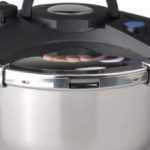 Prestige Pressure Cooker Reviews – Prestige makes a line of affordable pressure cookers for the masses. They are on the low end and priced near the bottom. Even still for the price point reviews from past customers tend to be high, even for the aluminum models which are not nearly as thick and durable as some more expensive stainless steel alternatives. Click through to read my reviews of the Prestige line. 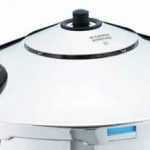 Vinod Pressure Cooker Reviews – Vinod makes a small line of entry level pressure cookers. Both stainless steel and aluminum models are available. They are not market leaders but their products are stylish setting them apart from some other entry level competitors. Click through to read my reviews of their line of products. Hawkins Pressure Cooker Reviews – I love Hawkins pressure cookers because they have to deepest line of small pressure cookers on the market. Hawkins stovetop pressure cookers have a unique design and are made to a good level of quality. Pricing is mid-range too so these are good options for a lot of people looking to buy a smaller pressure cooker. Thanks for checking out my work! I’m very proud of what I publish on this site and I genuinely hope it helps you out. Please do share this site with your friends, it helps me out a ton!